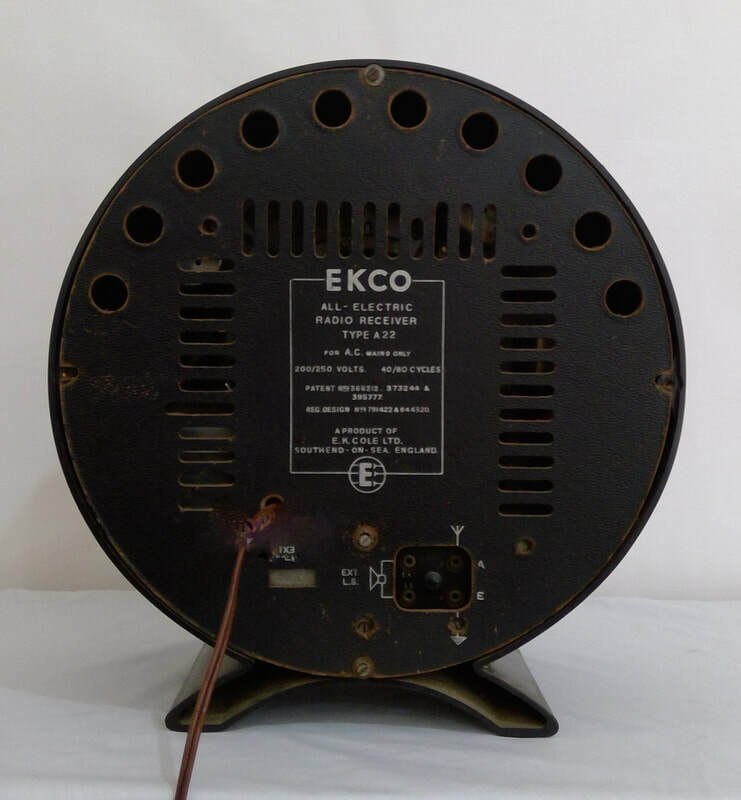 1945, model Round A22, radio manufactured by E.K. Cole Ltd, Southend-on-Sea, Great Britain. It is a super-heterodyne and AC main (230 volts). It has a 5 valve line up including rectifier. 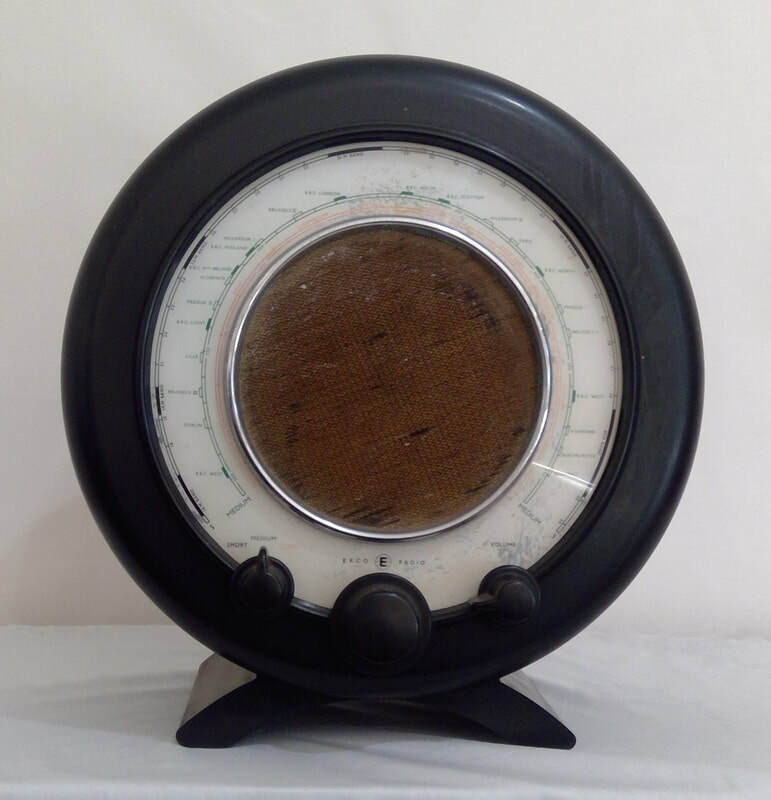 The style is a art deco mantle, black bakelite case construction in original condition. Dimensions (HWD) 350mm x 330mm x 185mm.